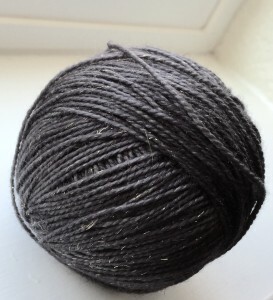 It wasn’t until I remembered (I am still surprised how long it really took me to realize this) that my friend Kim over at Western Sky Knits makes a gold speckle yarn line called Twinkle Sock (comes in either gold or silver) and so I emailed her asking for her to make me some of it in “as black as you can make it!” So she sent me some of her Chimney color which worked out perfectly! Admittedly the holiday season got away from me with completing this for her for Christmas because I spent so much time preparing for all my holiday shows, but gladly my parents were visiting us in early January so as soon as the New Year came I got to work and finished it just in time for their visit! 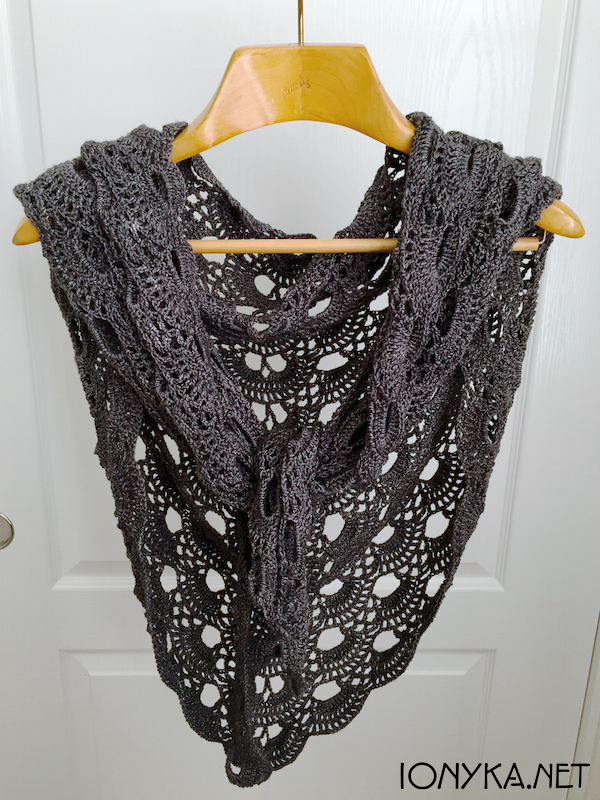 This entry was posted in General News, New Project, Patterns and tagged black and gold, chimney, scalloped shawl, shawl, triangle shawl, twinkle sock yarn, western sky knits by ionyka. Bookmark the permalink. 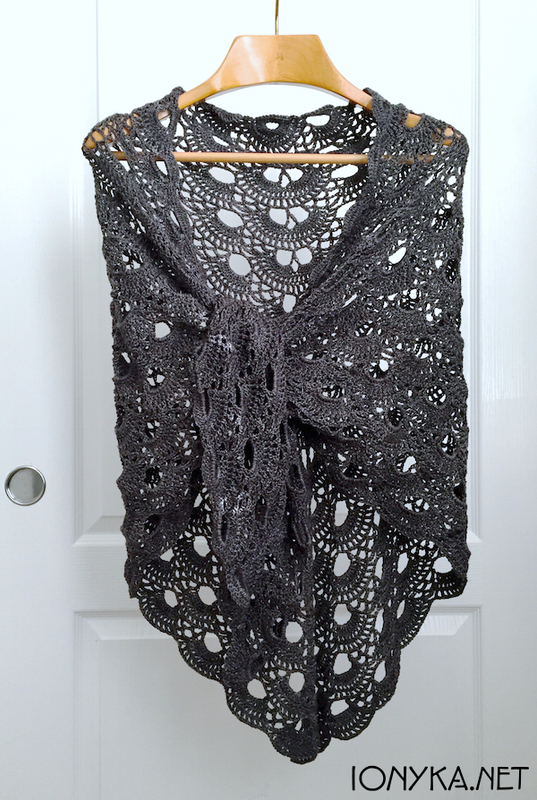 Hi Ionyka, these shawls you made are simply gorgeous! 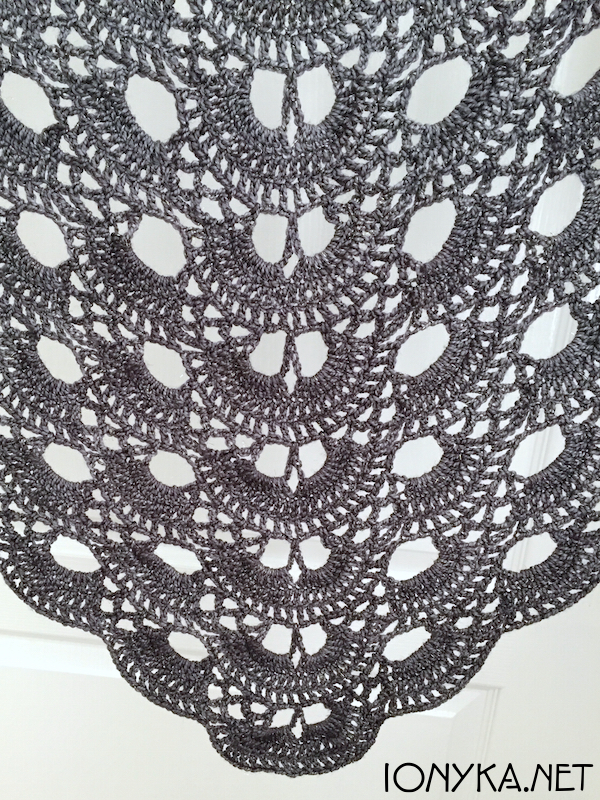 I am sure there are many ladies, myself included, that would love it, if you found the time to make a CAL(Crochet along ) video of this shawl. 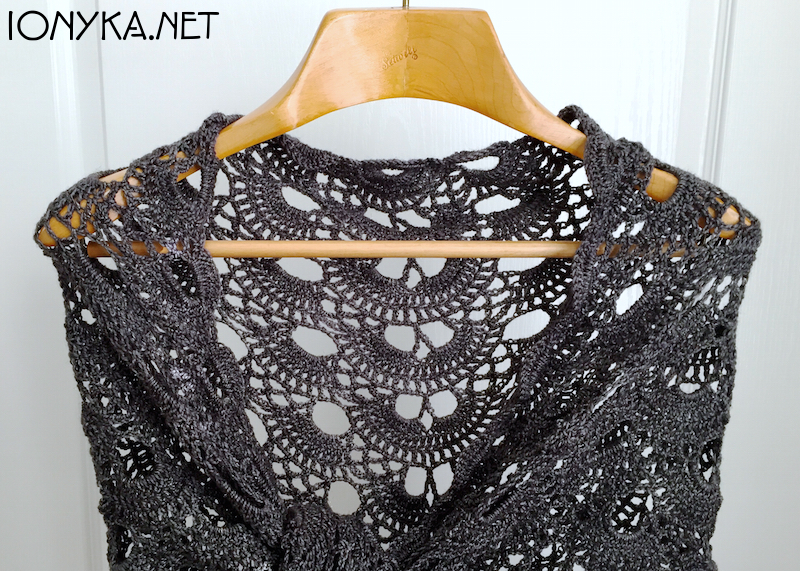 I find some of the wording in the English translation of this pattern to be a bit confusing. 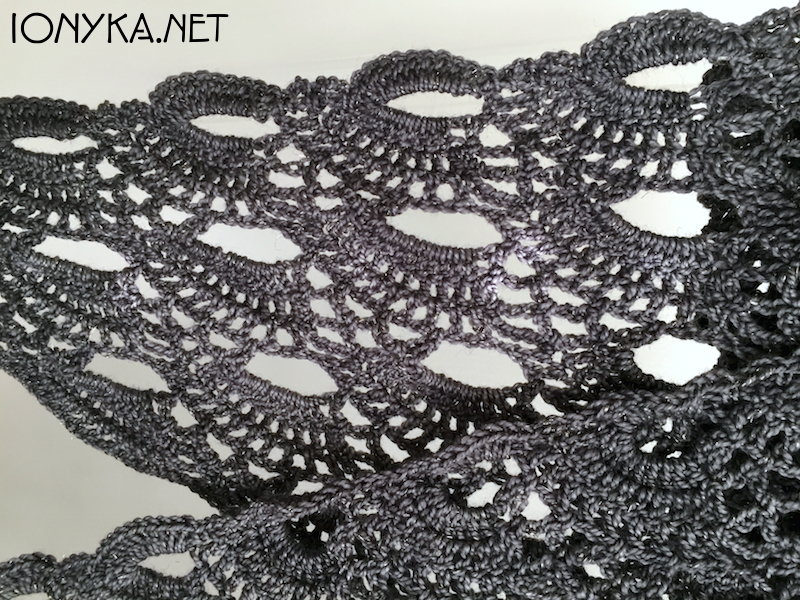 I find it very enjoyable crocheting along with someone on a project; especially since I am not able to get out and about too often. 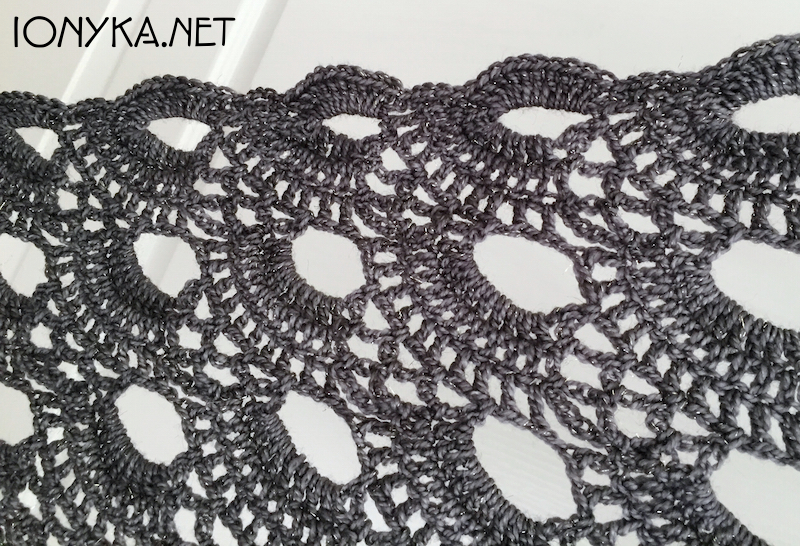 Hey Penny another commenter just found a link to an English version and shared it with us, I added the link to the blog post so check it out, happy crocheting! Love the Red heart Tidal color shWl. Making it all . thank you so much for sharing! 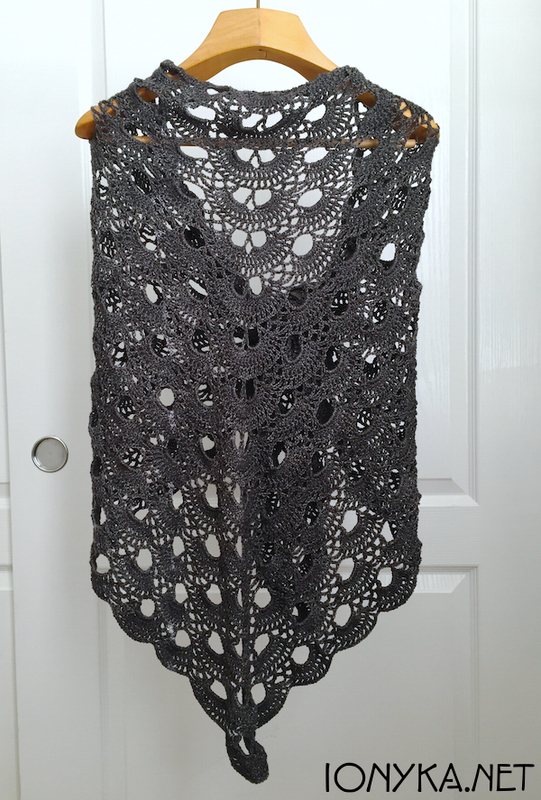 I can’t find the instructions for this shawl anywhere.please help me. 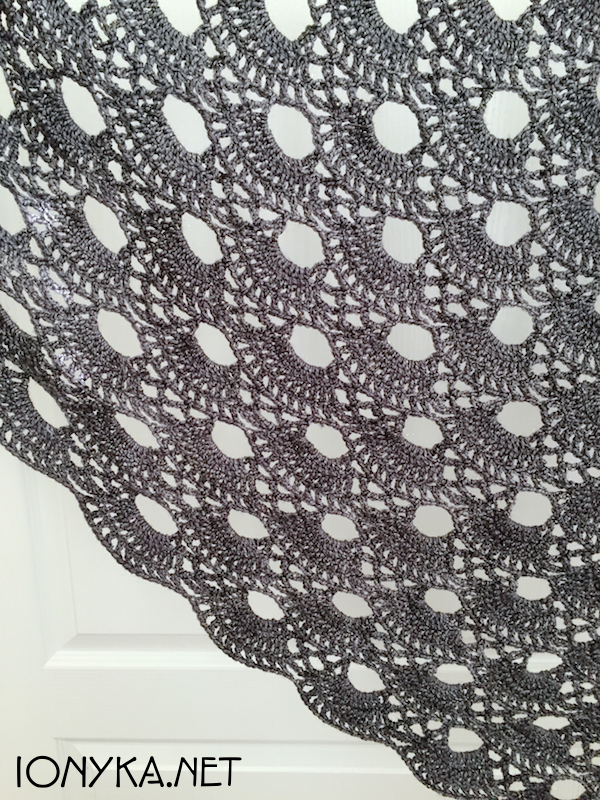 Here is a link to a set of instructions for you, thanks!